Our highly qualified staff not only meets, but exceeds Maryland State licensing regulations. We pride ourselves on the tenure of our staff – many over 10 years, with over 100 years of combined child care experience. 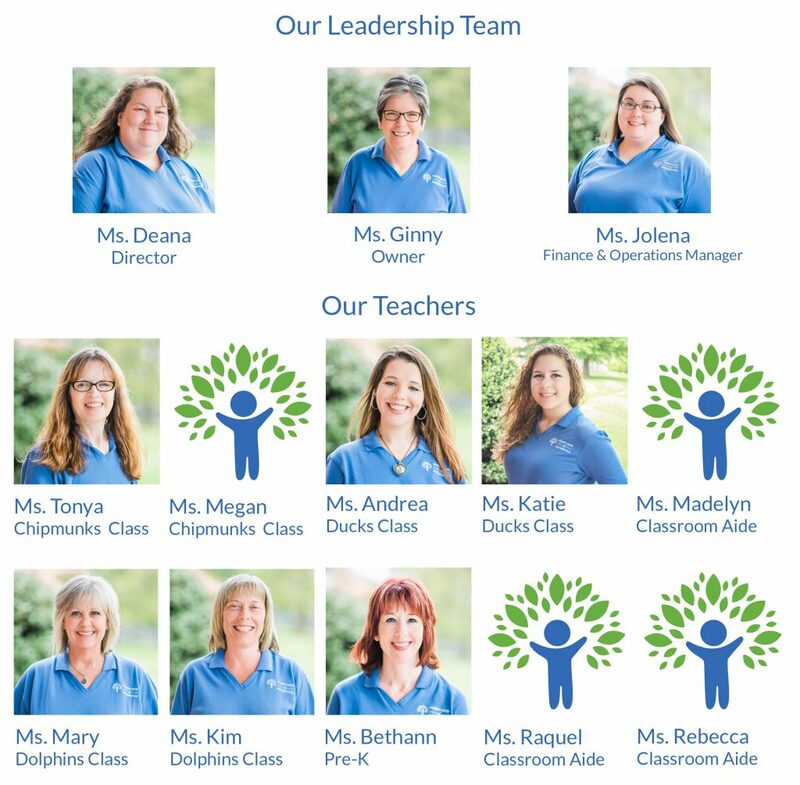 We select our staff for their warm, caring personalities and love of children, as well as their experience and credentials.